We are all familiar with being lost in a new software program. And it happens despite days of training, watching detailed tutorials, and reading daunting PDF manuals. A theoretical introduction is never the same as hands-on use. The Munich startup Userlane has taken on the challenge: interactive, step-by-step instructions show users how to immediately use software at a high level of proficiency without previous experience, or how to quickly find their way around a homepage. 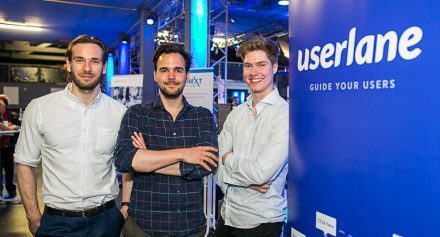 Whether you believe the startup story or not, the idea for Userlane arose during a trip in the mountains, during which the founders Felix Eichler, Hartmut Hahn and Kai Uhlig got lost. They were saved by a GPS. The question that came up during that little adventure was: why don’t we navigate our way through software programs the same way so we can easily and comfortably reach our goal? Brainstorming sessions on the banks of the Eisbach River followed, and the foundation charter for Userlane at Marienplatz was signed shortly thereafter. This live demo “How do I create a Wikipedia article” gives you an idea of how it works. The positive effects for a company are obvious: training and support costs can be reduced. 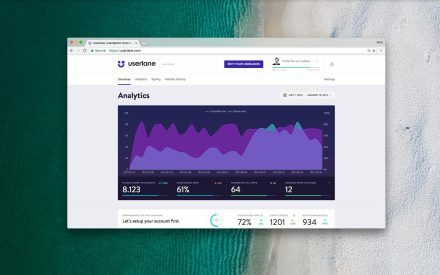 Applying their solution to user onboarding can lead to an increase in the conversion rate and user engagement. It also makes it possible to minimize the churn rate and support requests. A further aspect is intriguing from an employee point of view in particular: knowledge of special software used by a company is no longer a job requirement if it can be learned easily, quickly and independently. Being taught how to use software by other employees then becomes unnecessary, and no knowledge is lost due to staff changes – which is intriguing for employers. They also have some mountains right near-by for their next excursion — as long as a GPS is on hand, everything should work out fine!